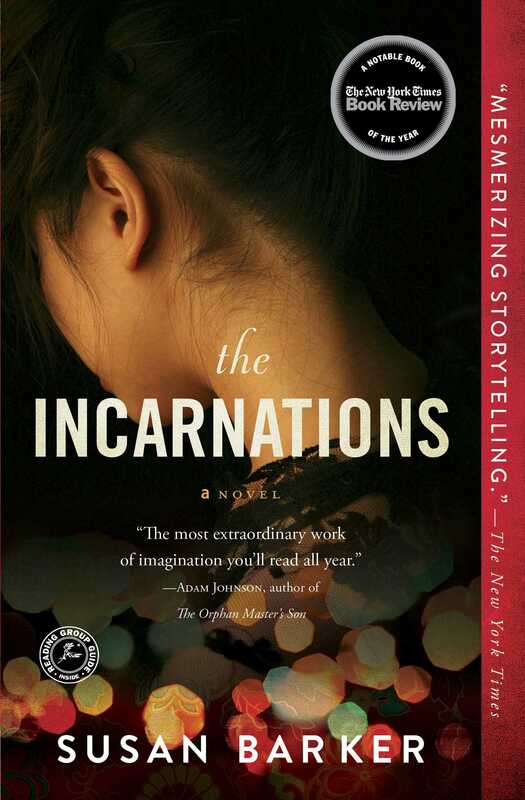 This reading group guide for The Incarnations includes an introduction, discussion questions, ideas for enhancing your book club, and a Q&A with author Susan Barker. The suggested questions are intended to help your reading group find new and interesting angles and topics for your discussion. We hope that these ideas will enrich your conversation and increase your enjoyment of the book. I am the biographer of your past lives. For to have lived six times, but to only know your latest incarnation, is to only know one-sixth of who you are. To be only one-sixth alive. Wang receives more letters. Each one takes him back in time: to a runaway girl searching for her long-lost father in the Tang Dynasty; to slaves fleeing through the Gobi desert after the Mongol Invasion; to concubines plotting murder in the Ming Dynasty; to an Englishman held to ransom during the Opium War; and to Red Guards rampaging through the streets of Beijing. The letter writer also confesses to stalking Wang and his wife and child. And with each letter, Wang feels the watcher in the shadows drawing nearer. Sweeping majestically between China’s past and present, The Incarnations illuminates the cyclical nature of history and shows us how man is condemned to repeat the same mistakes over and over again. 1. Consider Wang’s relationship with Yida. How have social and cultural constraints affected their union? For example, early on we learn that Yida, like many Chinese parents, had wanted a boy but Wang “had shamed her into keeping the baby” (their daughter, Echo; page 13). Are there other examples of how social norms or constraints have affected their relationship dynamic? 2. The chapters telling the stories of Wang’s past incarnations are written in the first person (“I”) and the second person (“you”). How did this style affect your experience reading the story? Why do you think the author chose to frame these sections from this narrative perspective? 3. Wang initially views the histories as “folktales” (page 75). Do you think he eventually comes to believe that these stories are true representations of his past lives? Why or why not? Find moments in the text that support your answer. 4. Betrayal is a recurring theme throughout the novel. Is there any significance to who betrays whom as the two characters’ lives proceed together over hundreds of years? Do you think that their actions in one life affect the next life? Or does each life stand apart? Refer to passages in the text to support your answers. 5. Consider the notion of madness in the novel. Which characters are seen as mad, and why? How does this classification affect those characters in Chinese society—both in the present and in the past? 6. In the fourth letter, the writer declares, “We must rebel against fate. . . . Fate must be outwitted. It must no longer stand in our way” (page 117). What role does fate play in the story? Do you think the characters succeed in rebelling against fate in the last incarnation? Why or why not? 7. In the fifth letter, the writer notes that this “third biography has been more punishing than the others” (page 179). And after reading it, Wang is convinced he read the story at some point in his schooling since “the story had resonated so strongly in his memory” (page 215). All of the histories are graphic and brutal stories; why do you think this one (Ming Dynasty, 1542) is the most difficult for the writer to relive? Which of the five histories do you see as the darkest or most agonizing? 8. Towards the end of the novel, we learn that Shuxiang is the letter writer. How does this change your understanding of Wang and Shuxiang’s relationship as mother and son? Do you see her differently as a mother? Refer back to Wang’s memories of his mother, and compare them to Shuxiang’s own recollections. 9. In each of their incarnations, the two characters have complex and intense relationships with each other. After so much conflict and passion between them throughout the past thousand years, consider the significance of ending the novel with a mother and son relationship. Why do you think the author chose to end the novel on this note? 10. 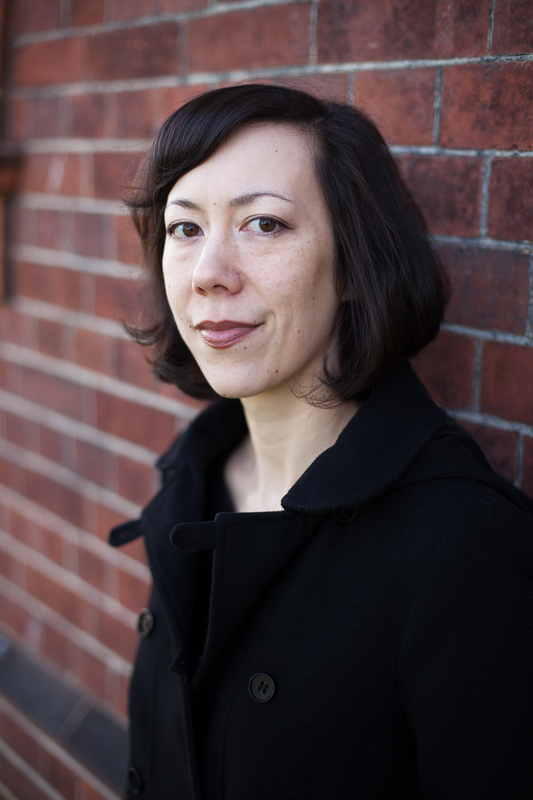 Consider Echo’s role throughout the novel, and at the end; the author brings the novel full circle, placing Echo into the same histories her father and grandmother lived. Despite her conviction that “The Watcher is mentally ill” (page 367), Echo begins to read the letters and stories of her past lives. As such a young child, how will Echo interpret these stories? Do you think Shuxiang was right to pass on her insight of previous incarnations to her granddaughter? Why or why not? 1. Research one of the time periods through which Wang lives and discuss how the stories fit into the historical context (Tang Dynasty—632 AD; Jin Dynasty—1213; Ming Dynasty—1542; Qing Dynasty—1836; or People’s Republic of China—1966). 2. Wang dies before Shuxiang can reveal herself as the biographer of their past lives, and this is the only life in which the two do not witness one or the other’s last moments alive. Write a short chapter or scene imagining a reunion between Wang and Shuxiang, or discuss why you think the author chose not to include their reunion in the novel. How did you approach writing a novel that contains so many other intricately weaved stories within itself? Compared to the writing of my previous novels, my approach to writing The Incarnations was haphazard, disorganized, and lengthy. I moved to Beijing in the summer of 2007 in order to research a new book. I wanted to write about modern China and the impact of the rapid social and political change on ordinary Beijingers. I also wanted to interweave several historical stories into the novel, as China’s history is so fascinating and rich with narrative possibility. I would like to say I approached the research and writing of The Incarnations in an orderly and systematic manner, but the truth is that I pretty much began researching all of the narratives at once, with only a hazy idea of how they would be structured into a novel. For years I kept many notebooks full of jottings I made while walking round Beijing, or while reading about life during the Tang Dynasty, the Cultural Revolution, and the other eras in the novel. The contents of these notebooks slowly evolved into Driver Wang’s story and the five historical tales. I wrote about five or six drafts of The Incarnations and the process was disorderly—I returned to different sections at random and in nonchronological order, figuring out how they fitted together along the way. The stories from the incarnations throughout history are extremely vivid and distinct from each other. Did you find it difficult to switch from period to period? Did you change anything about your writing process to accommodate this narrative flow? Once I had done the preliminary research it was fairly easy to switch between the historical eras—in fact it was quite invigorating and fun to be writing about seventh-century Tang Dynasty Chang’an one week, and then switch to the nineteenth century and the Opium War the next. Almost like time-traveling (albeit very slowly and limited by variables such as work ethic, imagination, and typing speed). Not only does the novel jump through history, it also moves backwards into Wang’s life. Why did you decide to frame the story in this way? We are the sum of our experiences; our present selves are shaped by the events that occurred in our past. I wanted to tell the story of Wang’s childhood, his detainment in the mental institution, and ill-fated relationship with Zeng Yan, in order to offer the reader more insight into Wang’s behavior in the present day. Wang Jun is a very passive character, but this doesn’t mean he is not multifaceted and complex. I wanted to show the reader the formative experiences that made Wang Jun who he is. Describe your research methods for the novel. China has such a rich and long history from which to draw: how did you narrow down which time periods to include for the incarnations? I researched the contemporary sections of the novel by exploring Beijing by bus, taxi, and foot, and making notes about what I saw. I spent about five years living in China (on and off) between 2007 and 2014, and this observational method of research was ongoing throughout that time. I also read as many books on modern Chinese society, politics, and culture as I could get my hands on. Though I knew I wanted to weave historical stories into the novel, I initially wasn’t sure which eras to write about, so I read books that gave an overview of the last two millennia of Chinese history from the Qin Dynasty to Chairman Mao. When I encountered a historical incident or figure that I found fascinating, for example Genghis Khan and the Mongol Invasions, or Emperor Jiajing of the Ming Dynasty, I would deepen my research into that individual or era. I found that as I read and made notes, ideas for plots and characters would emerge from my research. Sometimes straight away, sometimes over several weeks or months. Do you have a favorite of the incarnations? If so, which one and why? My favorite incarnation is Concubine Swallow in the “Sixteen Concubines” story, which is based on an actual historical event. Emperor Jiajing was the eleventh emperor of the Ming dynasty and was alleged to have been a sexual sadist who tortured his concubines. One night in October 1542, sixteen of the concubines crept into his bedchamber in the Forbidden City and attempted to strangle him with a silken cord. However, the assassination plot was thwarted and the concubines were executed. I wanted to fictionalize and write about this regicidal plot from the concubines’ perspective because I admired how they fought back against the emperor, and were willing to sacrifice their lives to do so. I also enjoyed writing in the voice of Concubine Swallow—she is so scathing, darkly humorous, and self-loathing. The novel centers on the idea of reincarnation, but the characters do not directly grapple with whether or not they believe in it. How did writing this novel affect your thoughts about reincarnation? Did you learn anything new about reincarnation from your research or through writing the novel? At the risk of demystifying the novel, the use of reincarnation was initially a narrative device; a way of structuring and bringing together all of my separate research interests in China past and present. However over the years, as I wrote draft after draft of The Incarnations, the reincarnation aspect gained substance and became the essence of the book. As well as structuring the novel, the idea of reincarnation and recurring souls also links to one of the themes of the book, which is the cyclical nature of history. The taxi driver Wang Jun keeps repeating the same destructive mistakes in each of his past lives, due to the innate flaws in his nature (wrath, self-interest, possessiveness, jealousy) that recur life after life. I also hoped to capture how the history of civilization is repetitive too, with the same vastly destructive power struggles playing out across the generations, arising from the same innate human flaws. I am not sure whether or not I believe in reincarnation. Perhaps I do in my more irrational moments, but it’s a vast leap of faith to believe you’ve had past lives. My sister once met a medium when we were teenagers, who said that she (my sister) and I have been linked together for several past lives, but obviously I am skeptical. With so much history embedded in the story, readers cannot help but become intrigued by China’s past. Were you aiming to incite readers’ interest in Chinese history and culture? Is there anything in particular you hope for people to take away from reading this novel? I wasn’t aiming to incite readers’ interest in China’s past, but if The Incarnations encourages some readers to want to learn more about Chinese history, then that’s fantastic. I hope that the historical sections of The Incarnations offer the reader a glimpse of each era (though my fiction often deviates from historical truth into more surreal and fantastical terrain). I mostly hope that readers are moved and engaged by The Incarnations, that the book entertains. Are there any writers that stand out as influences for you? When it comes to contemporary writers I really like Nicole Krauss, W. G. Sebald, Jonathan Lethem, Junot Díaz, Lydia Davis, Jenny Offill, David Mitchell, Peter Hessler, Sarah Hall, Zadie Smith. I can’t say how much they influence me, but reading amazing fiction always inspires me to write. The end of novel brings Echo into the cycle of incarnations; have you thought about writing a sequel to The Incarnations? I have no plans to write a sequel to The Incarnations, but I am half-tempted to write the Watcher’s “Sorceress Wu” story (which is the title of the story in the letter Echo opens on the very last page of the novel). I really enjoyed writing the character of the Sorceress Wu (the mother in the Night Coming story)—she was just so vehemently evil! I’d like to tell the story of how the Sorceress Wu lost her husband to bandits and turned to witchcraft. She probably wasn’t always evil. I imagine a series of tragic events made her that way. What did you learn from writing this novel that may help you with future projects? I spent six years writing The Incarnations and in the process of drafting and re-drafting the book I probably learned myriad technical things about characterization, plotting and structuring multiple narratives, and crafting prose. Other than aspects of craft, researching and writing The Incarnations was a lengthy and challenging undertaking (challenging for me at least) and completing one lengthy project always lends you courage to commence the next one—faith that, no matter how long it takes, it can be done. "A dazzling tapestry of epic scope . . . [An] ambitious, enthralling tale, a deft melding of past and present, myth and reality, longing and torment." "[Barker] has smartly structured this intricate tale, and its mystery pulls us forward. . . . The novel gains in power and polish as it progresses. . . . Close to the end, I found myself stalling--prolonging suspense." Highly successful as art and craft…THE INCARNATIONS uses its unique premise to combine a series of short stories based in history with a realistic account of a difficult modern life, for much more than the sum of the parts. "Daring . . . The novel’s shifts from the distant past to the present are seamless, and the bittersweet twist at the book’s finale will have readers searching back through the novel for clues to the ending. . . . Skillfully combines history, the supernatural and the everyday in a novel that suggests that the past is never really past, while providing a cracking good read."